© 2006 CyberStep, Inc. All Rights Reserved. Copyright © 2006 ZEMI INTERACTIVE INC. All rights reserved. 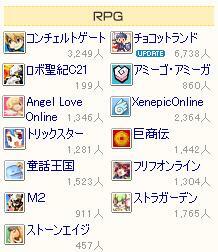 © 2006 ZERO ONLINE Co., Ltd.
copyright © 2005 がめ日記 all rights reserved.